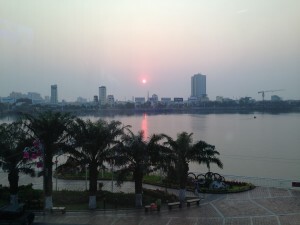 This trip to Vietnam has been a eye opener from what we all believed was a struggling third world country. Where there were open fields of rice, now there are homes, wide paved streets, and a economy that resembles more a Capitalist society than a Communist. For many of us on this trip we are saying “good for Vietnam”. We left the country in shambles, but have returned to find a welcome to Americans and especially former GIs. The population has only heard about the Vietnam war, most of the people we have met on this trip are in their mid 20s to mid 30s. The people I have talked with all seem to be happy, very polite and most accommodating. 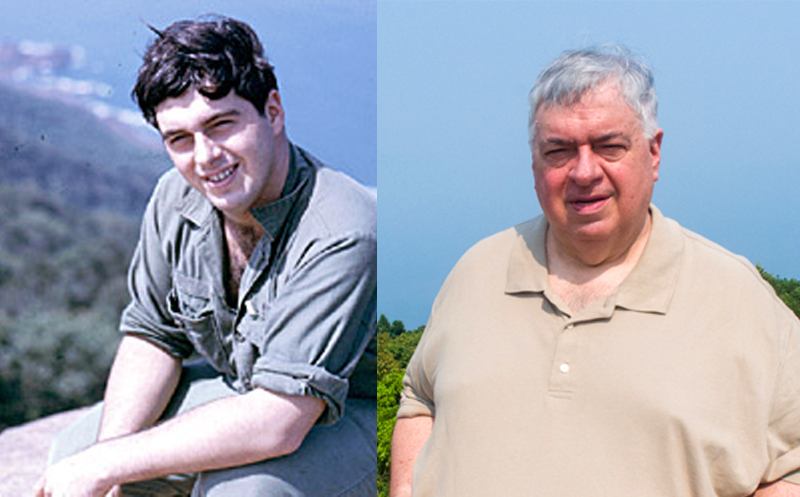 My goal on this trip was to find the locations I had been at in 1968-69. They included the Seabee camps of CBMU 301. 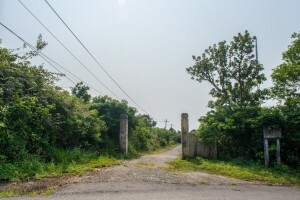 We found what we believed to be the general area of these camps in Quang Tri and north in Dong Ha. For sure the airfield at Quang Tri was still visible (see Return to Vietnam Part-1 for the whole story). We discovered the AFVN site at Camp Red Devil in Quang Tri, the Army Replacement Company in the same area. The AFVN site in Hue and others. Today we got to Monkey Mountain in search of the AFVN station at Danang. The station was about 1/2 way up a very steep and winging road. Before the station, there was a site where a jet fighter had crashed into the hillside. I think this is the spot. 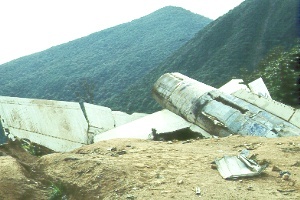 The jet crashed on Monkey Mountain sometime in 67 or early 68. It was off the aircraft carrier USS. Bon Homme Richard. This plane was one of two that had got in trouble at Monkey Mountain that day. The other plane had nosed in just below the crest of the mountain. The pilot had ejected safely and had landed on the beach about 1200 feet below the crash site. The vegetation has really taken over the hillside, the jungle has returned. Inside all that foliage are some monkeys, I am told the number has diminished since 1968, but they are still there and still very mean. 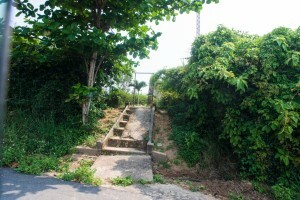 There are 2 spots that I believe could be the site of AFVN Danang. Almost anywhere Americans served in Vietnam, one could hear the American Forces Vietnam Network (AFVN) with its News on the Hour music providing reminders of home. At night, AFVN signals propagated into Australia, India, Pakistan and China. In February 1965, U.S. Marines landed in Danang to start a buildup of American ground troops. By 1967, signal coverage of the AFVN stations had been expanded to most of the Vietnam combat zone through establishment of detachments. Probably the most isolated detachment in Vietnam is located atop Monkey Mountain. 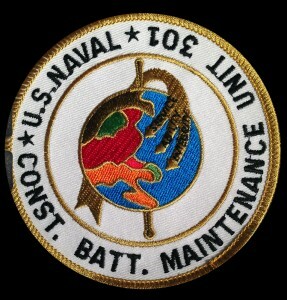 The Danang detachment was one of two station with FM stereo capabilities; the other was in Saigon. Both transmited on 99.9 MC frequency. If anyone can help identify which of these two pictures looks like a good match for the location, please let me know. It is frustrating when searching for exact locations when 47 years of memory and images just can’t come together. 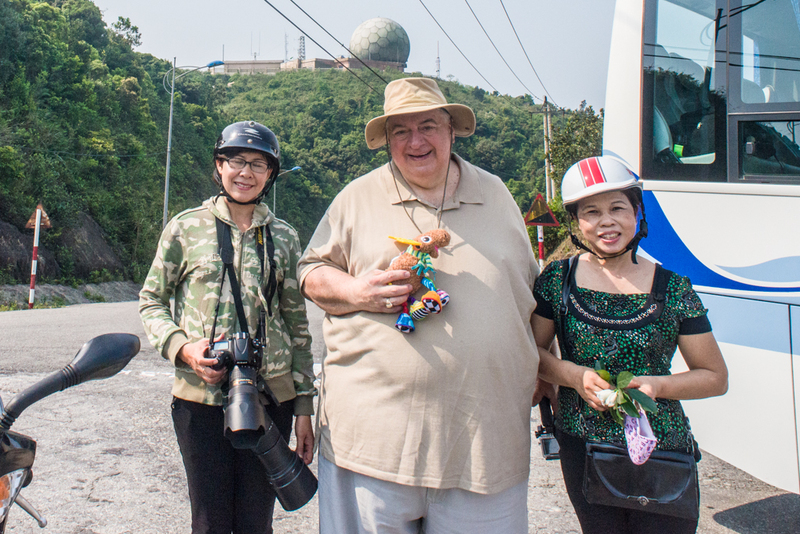 I continued up the mountain to find a spot where, when I was visiting AFVN Danang, I stopped for a 1968 “selfie”. The exact location is only a memory, but it’s probably close enough. 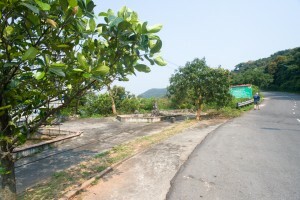 The only remains of the American presence are two radar domes, now used by the Vietnamese military and a no-go area for civilians. In recent years, the military has released its grip on the mountain so it’s possible for all to take in the views of the whole Danang area. Med and two young ladies studying the natural components of Monkey Mountain. I took my traveling companion, Moosey Moose with me and was photographed with two young ladies who were studying the floral and natural components of the mountain on motorbike . They were a delight to talk with and wished them well in their study. The mountain, now a national park, still is home to the rare red face monkey. A long climb up Marble Mountain capped off the day. 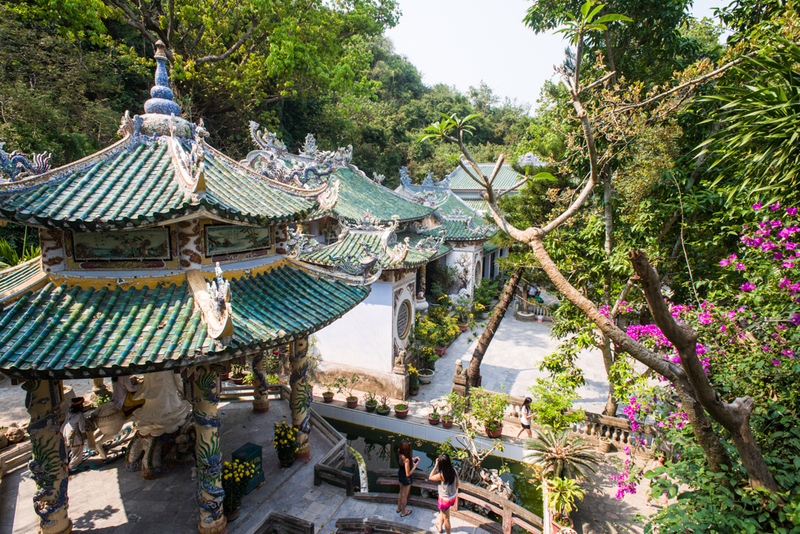 Marble Mountains is a cluster of five marble and limestone hills located south of Danang city. All of the mountains have cave entrances and numerous tunnels, and it is possible to climb to the summit of one of the peaks. Several Buddhist sanctuaries can also be found within the mountains. The area is famous for stone sculpture making and stone-cutting crafts.